Great thread and very useful. I've updated the F-35 database over the last month. Any further updates are welcome and can be more than just first flights. Thanks! Was just going to post how haven't had any updates lately. If Code One isn't going to post them, I'll see if I can find someone there that can at least keep me updated. I will then update here. AF-46 (11-5035) first fligh was June 3, 2014. Any one know the pilot? Any other first flights? "Lockheed Martin chief F-35 test pilot Al Norman was at the controls of F-35A (US Air Force serial number 12-5053) for its first flight on 20 January 2015. This was the first maiden flight of an F-35 for 2015. The aircraft is painted as the flagship for the 57th Fighter Wing at Nellis AFB, Nevada, where it will be delivered later this year. Photo by Carl Richards"
Been a while since we've had a first flight update, thanks! AF-65 (according to the DB) ...wow, didn't realize that many "As" had flown todate, and soon the rate will pickup even faster! Squadrons should be popping up, around all over. Any updates on first flights? 169034 first flight on April 6, 2015 according Scramble. A sign of this is AF-90, the first LRIP 8 aircraft, flew both of its company flights last week. This marks the beginning of LRIP 8 flights and signifies the near-term completion of LRIP 7. This year, LRIP 8 accounts for nearly 30 deliveries to the U.S. and more than 15 for international customers...."
"Lockheed Martin has flown the UK’s sixth and seventh F-35Bs. BK‑06, serial ZM140, made its first flight from Fort Worth on August 23, followed by BK-07, ZM141, on September 22." 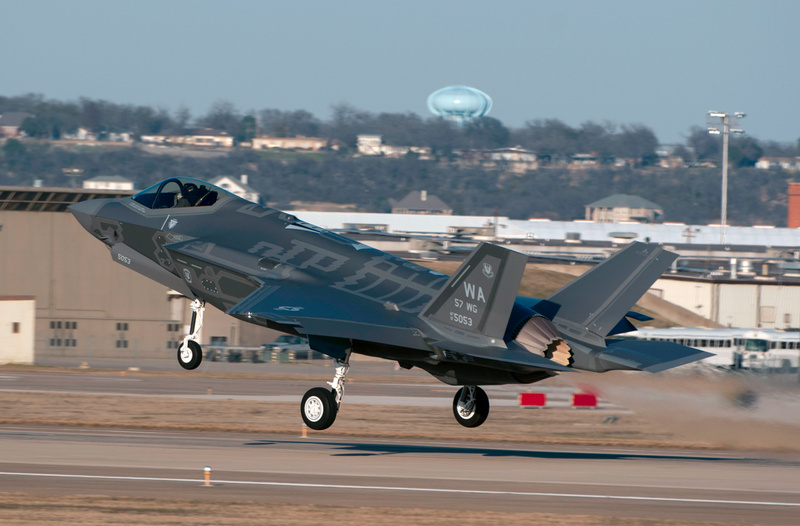 "The latest Lightning II for the United Kingdom, F-35B BK-09 [ZM143] completed its ﬁrst ﬂight from Lockheed Martin’s Fort Worth, Texas, facility on March 3. Photo: Carl Richards"
Tomorrow gonna be a delivery day, three F-35i's will leave Texas on the way to Nevatim AFB in southern Israel. Arrival scheduled to Sunday (April 23th) afternoon Local time. "...15-5126/‘HL’ (AF-117), which made its first flight at Fort Worth on 04 May 2017"